Thanks for your comments and questions. Yes, you do use the bacon. Add it back in at the end. I have added that to the directions. 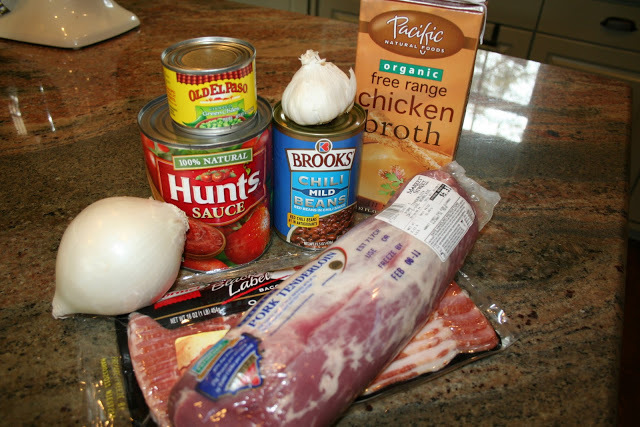 Dice the bacon and brown in a large pot on top of the stove. 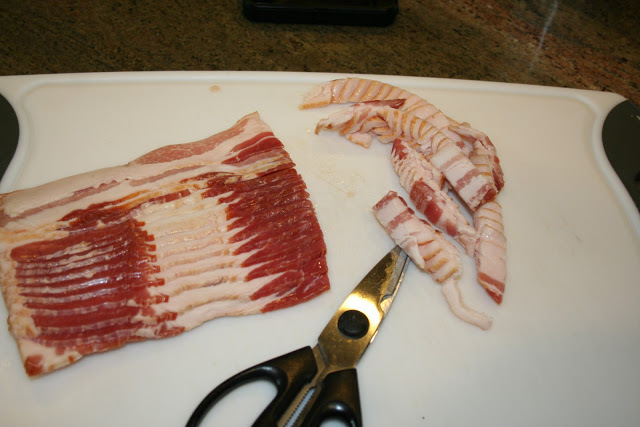 Remove the bacon from the drippings, reserving the drippings. 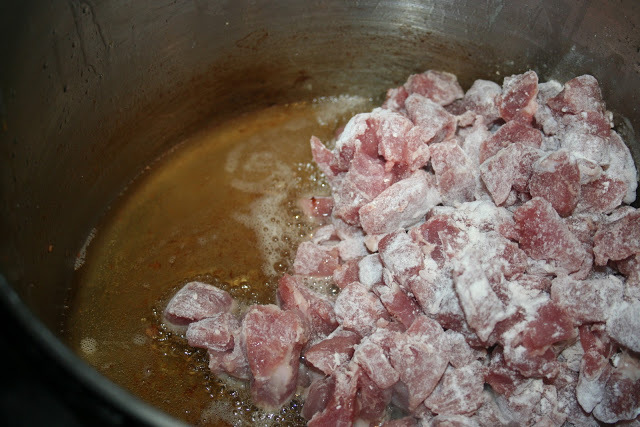 Coat the pork with 1/2 a cup of flour. 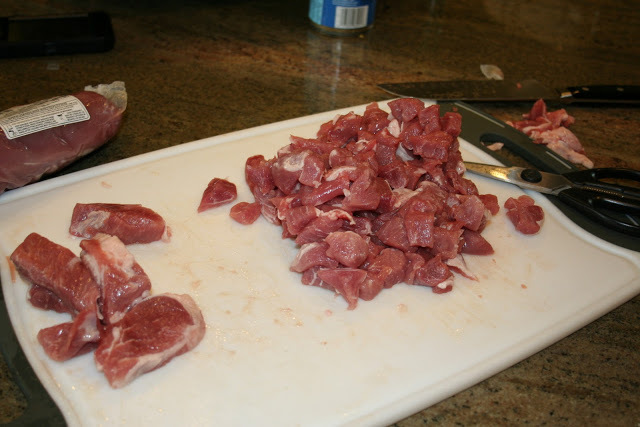 Place the pork in the bacon drippings and brown for about 5 minutes. Add the garlic and onions and cook until onion is tender. Stir in chicken broth, green chiles, salt, pepper chili powder and chili beans. Simmer on low for 2 hours or place in a crock-pot on low for 3 hours. Add the bacon back in. Serve over rice and garnish with sour cream.